and you can depend on us! 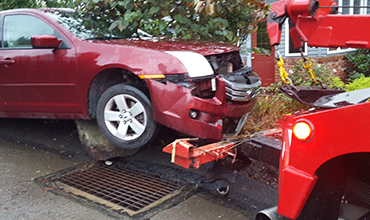 Need a tow truck or roadside assistance in the Pittsburgh area? 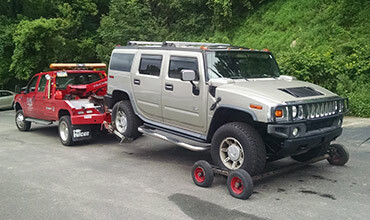 R Line Towing is experienced, trusted, fast, and affordable! Click on the button to leave a review and let us know how we did! R Line Towing & Recovery provides affordable, quick response 23-1/2 hour towing and roadside assistance throughout the Pittsburgh area along I-79 to Washington, PA. We are a trusted AAA service provider that conducts background checks on every employee to ensure trustworthy, quality service to every customer in the Tri-State Area. 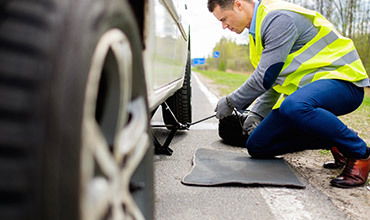 R Line Towing & Recovery provides 23-1/2 hour roadside assistance services along the I-79 corridor between Pittsburgh and Washington, PA. Our roadside assistance services include jump starts, tire changes, car door unlocking and fuel delivery. Our expert staff is trained to work with all vehicle makes and models ensuring you a fast and affordable roadside assistance experience. R Line Towing & Recovery offers complete Medium Duty Towing in Southwest Pittsburgh and along the I-79 corridor to Washington, PA. Our team of trained and experienced operators are prepared to tow your medium truck quickly and affordably. Call our 23-1/2 hour Medium Duty Towing dispatch center now at 412-915-7422. TESTIMONIALSSee what our clients are saying! Brand new car would not start and could not jump start. Had to push car out of garage and get it on the tow truck. John gave us excellent service and was very knowledgeable and was very careful not to damage a car with less than 300 miles. Would recommend to anyone to have the job done right. RLine was very helpful on the phone. They dispatched a tow truck promptly and delivered my disabled car to the garage for repairs. The tow trucker driver, Rob, was friendly yet professional in his dealings with me. I’d call them again without hesitation. I broke down in Uniontown and called r line towing cause I couldn’t find a tow truck that could handle the weight of my truck….and all I can say is they have a very professional business and reasonable rates!!! If I ever need a tow n hopefully I don’t but they will be my first call! Very great service! I live out of town and was helping a friend schedule help who’s car broke down while just passing through and they were on time, very nice, and accommodating! I recommend using this company. Our live 23-1/2 hr dispatch center is always prepared to answer your call and help solve your automotive issue. Call now to receive fast response 23-1/2 hr towing and roadside assistance in the Pittsburgh area and throughout the I-79 corridor to Washington PA. Reach us at: 412-915-7422.